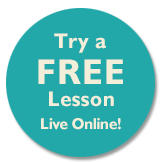 Work with us at Music Lessons Anywhere! I’m Tracy Rose, I founded Music Lessons Anywhere in 2013. Student numbers grew quickly and so I found the need to recruit other like minded online music teachers. Now we’re a team of 14 dedicated, specialist instrumental, technical and academic music teachers. Although I don’t have any immediate vacancies, I’m always collecting resumes/CVs from teachers wanting to work with us, so I can reach out, if a vacancy opens. 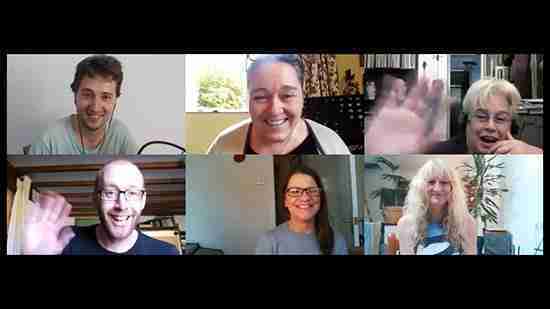 Some of our online music teachers at a Music Lessons Anywhere online staff meeting. Clockwise from top left: Dan, Tracy, Stephie, Mix, Liz and Tommy. Willingness to work as a part of a creative team. Creative teaching, with and without sheet music, in a variety of styles. The ability to respond to the needs of each individual student, whether for improvisation practice, technique or exam work. A sense of humour and ability to engage with the student and draw out the best from them. Exam Board experience with either ABRSM or Rock School or any other world recognised exam body. Most importantly, the ability to make every lesson thoroughly enjoyable for all students at all times.